Hello Kitty! I love you all of you! 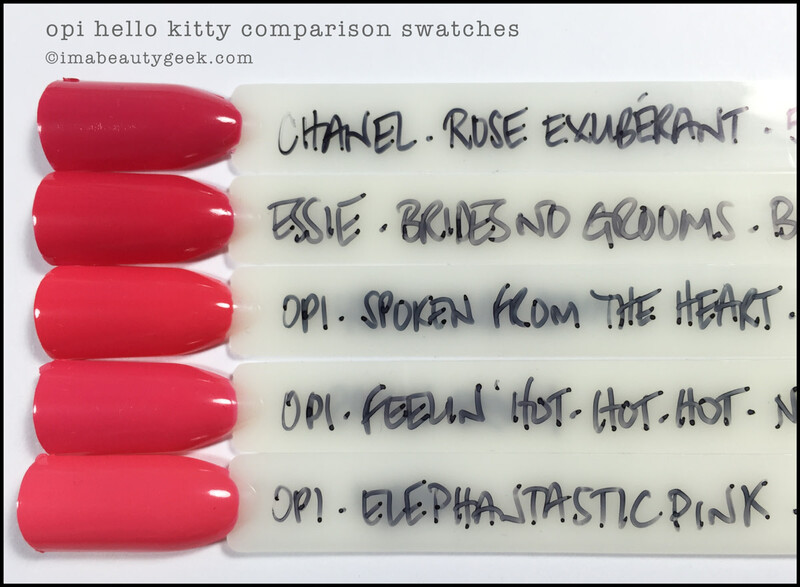 The OPI Hello Kitty 2016 Collection landed on my desk late last week and since then, I haven&apos;t stopped smiling. She’s so cute. She’s so perfect. You want to see it. I know you do. Get yourself a cuppa and let’s scroll through swatches. After the swatches, how about some stick pics? Yeah, you know you love those! 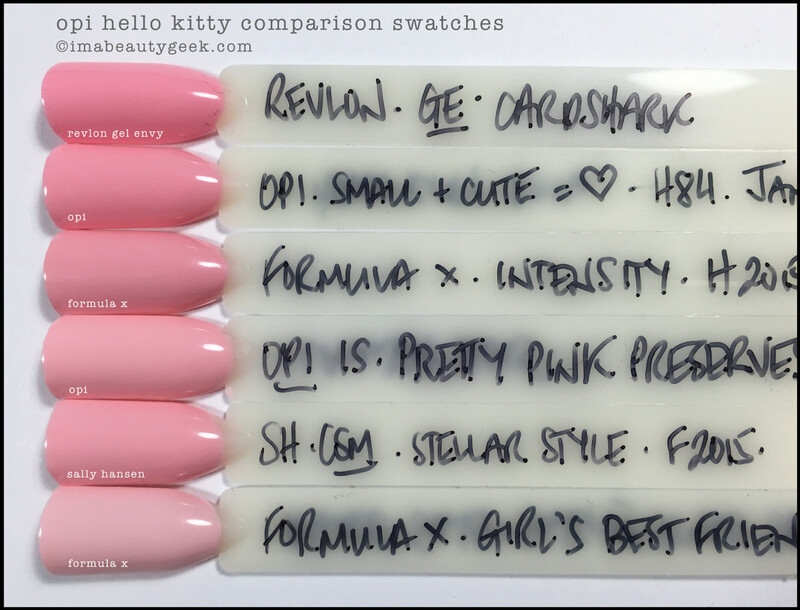 OPI Hello Kitty 2016 is stuffed with crèmes, pinks and shimmery things. It&apos;s also stuffed with divine formulas and that pro-wide brush that I love. Pretty much everything is two simple coats and I&apos;ve eschewed top coat so you can see exactly what&apos;s in the bottles. It&apos;s all so good. When OPI gets it right, boy howdy do they get it right! 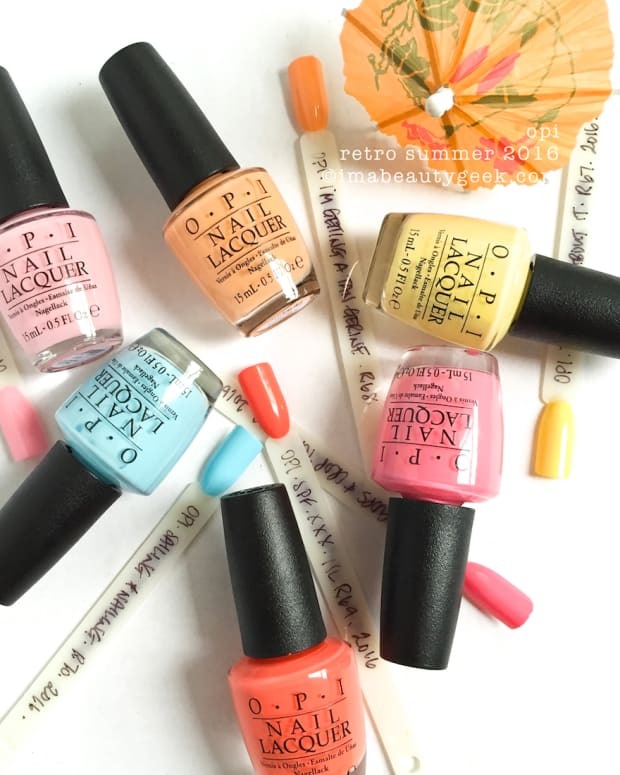 OPI Let’s Be Friends – OPI Hello Kitty 2016 (above). Two coats. Just two. For a pink that&apos;s stuffed with this much white, to get coverage like this in two coats is amazeballz! OPI Small + Cute = ❤ – OPI Hello Kitty 2016 (above). Oh. Hello perfect pink! You&apos;re so lovely in your two coats to stupendous coverage and shine. Yes, yes you are. OPI Kitty White over Small + Cute = ❤ (above). 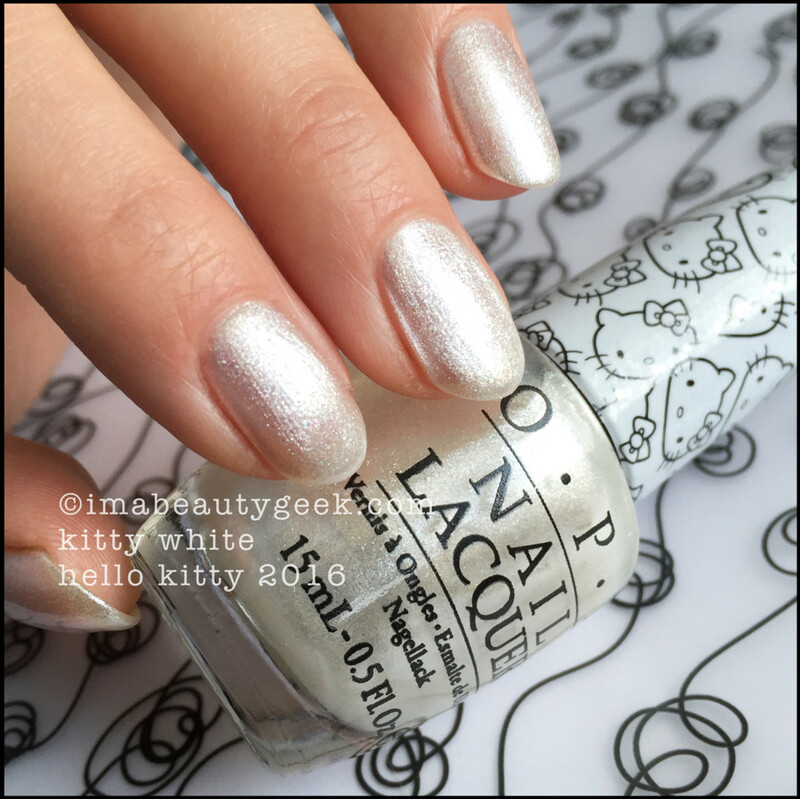 OPI Kitty White is an awfully sheer shimmery confection that lends itself perfectly to playing top coat. That&apos;s one coat over the pink. You&apos;re gonna try it over a bunch of things to see what happens, right? OPI Look At My Bow! 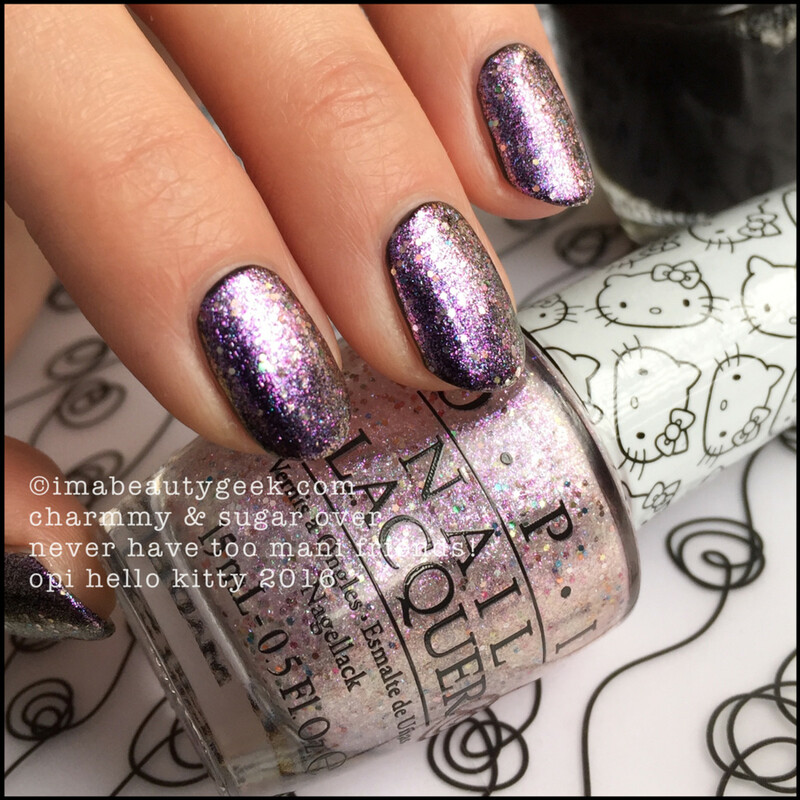 – OPI Hello Kitty 2016 (above). This pink. So good. If you ask me, it&apos;s THE Pink for spring 2016. Almost a little lilac but not, cool but still warm, and beautifully bright, I think it&apos;ll look great on any digits. OPI Starry-Eyed for Dear Daniel over Look At My Bow (above). Then there&apos;s this fuchsia/magenta pink-tinted-base glitter. When I see bottles like these, I get me the #GrabbyHands. Big time. This shade is great. In one coat, you can use it as a top coat. In three thin coats, it&apos;s opaque and looks exactly like it does in the bottle. 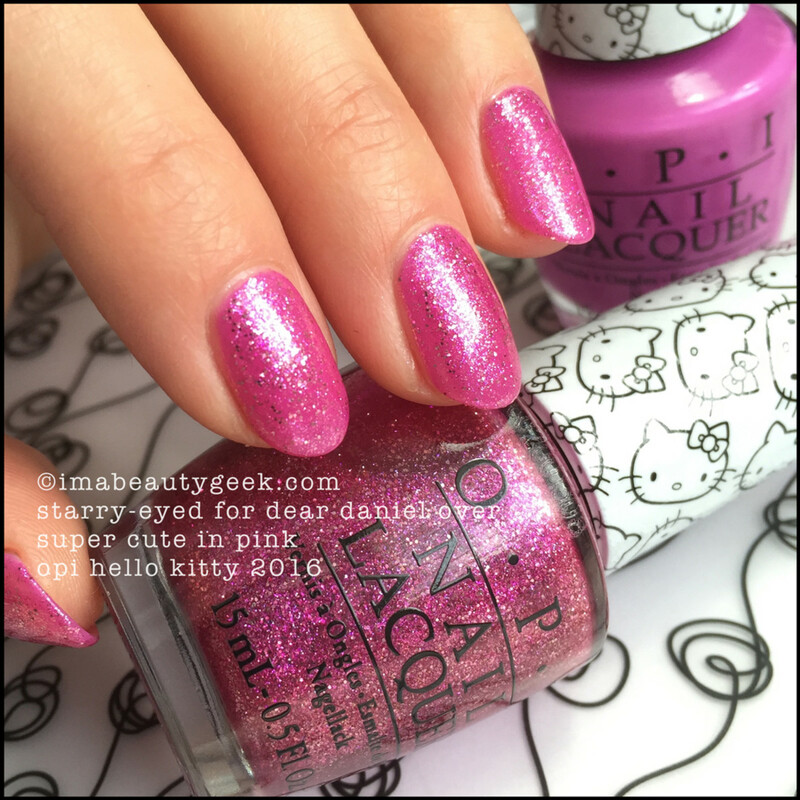 OPI Starry-Eyed for Dear Daniel – OPI Hello Kitty 2016 (above). See? Three thin coats. 100% opaque. She&apos;s finely textured (not heavily textured like Liquid Sand) so you may or may not want to add top coat. Did I? Nope. The glitter payoff in here is fan-freakin&apos;-tastic! 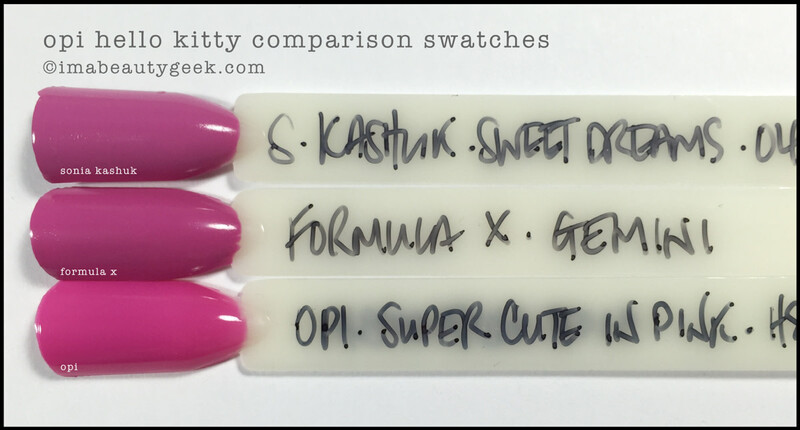 OPI Super Cute in Pink – OPI Hello Kitty 2016 (above). Crelly. What&apos;s a crelly? Well, it&apos;s a crème jelly. Lookatit! It looks wet and somewhat squishy. You wanna touch it, I can tell. OPI Starry-Eyed for Dear Daniel over Super Cute in Pink (above). Oooh! I do so love a multi-purpose bottle of polish. That&apos;s one coat of the glitter over two coats of Super Cute in Pink. It&apos;s another fine use of Starry-Eyed for Dear Daniel. OPI Starry-Eyed for Dear Daniel + Super Cute in Pink Crelly Sandwich (above). Hmm... Interesting. I just wanted to see what would happen if tried to make a Super Cute Starry Sammich. Now we both know. 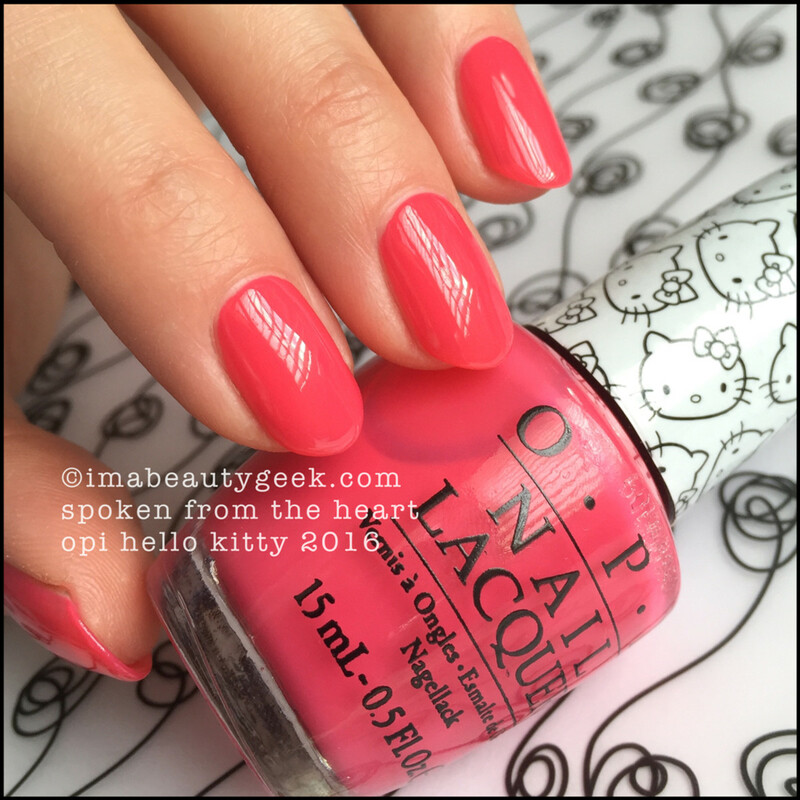 OPI Spoken from the Heart – OPI Hello Kitty 2016 (above). Gah! Hot coral pinky red! So amazeballz! This 2-coat formula will make you weak in the knees, it&apos;s that good. You&apos;re gonna paint this on and go "Holy crap this formula." How do I know? Uh, been there. Done that. 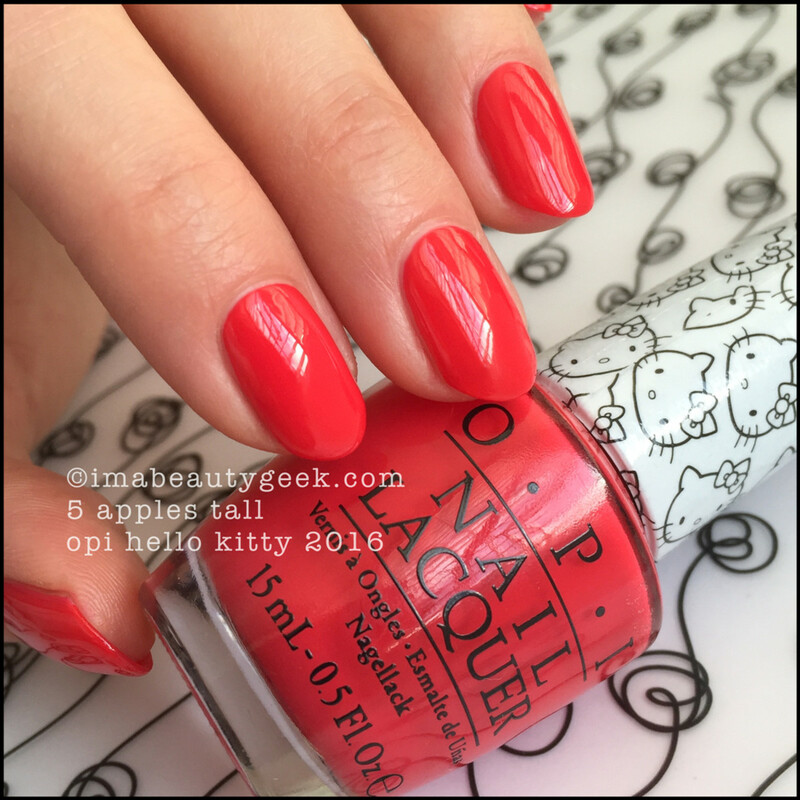 OPI 5 Apples Tall – OPI Hello Kitty 2016 (above). Red. That&apos;s it. That&apos;s all I got. I mean really, what else can I say about an OPI red except that they know how to bang out a flawless warm poppy red? Nuthin&apos;. It&apos;s superb. OPI Say Hello Kitty! Special Edition Shade (above). This pretty 3-coat thing only comes in that box you see back there in da photo. Inside that box you&apos;ll find nail glue and a couple of Swarovski crystal bows. She ran me $24.95 at Trade Secrets here in Canada (yay, for gift cards!). But back to the polish! From this tilt, you can see there&apos;s a fine golden shimmer across the top. OPI Say Hello Kitty! Special Edition Shade (above). And from this tilt, you can see the blue shimmer (I hope). Is this box worth $24.95 to me? Nope. Why not? Uh, I&apos;m not into bedazzling my nails with bows &apos;n stuff. Do I wish the polish itself were available for individual sale? Yep. Would I buy just the polish? Yep. 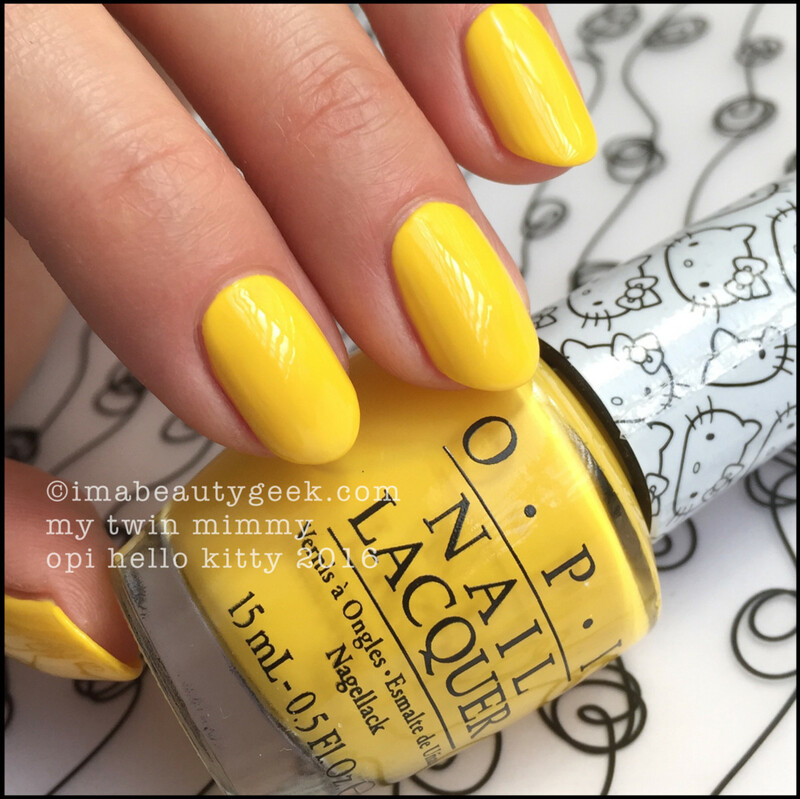 OPI My Twin Mimmy – OPI Hello Kitty 2016 (above). I want to tell you that everything in this collection applied like a dream but if I did that, I&apos;d be a big, fat liar. This one is not a dream. But it&apos;s not a nightmare either. What you&apos;re lookin&apos; at is 2 normal coats that I allowed a good 7 minutes to level out and dry some. You gotta let it level or you&apos;ll be sorry. Then, after 7-10 minutes, add another coat and you&apos;ll get what&apos;s up there. You can&apos;t rush this yellow. 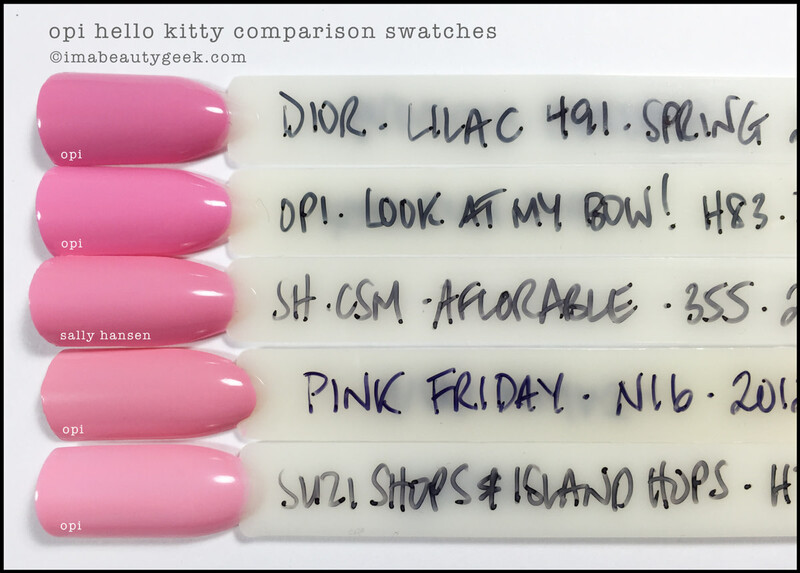 OPI My Pal Joey – OPI Hello Kitty 2016 (above). Two stupendously magical coats will get you to what I&apos;ve shown you up there. If you&apos;re a blue-lover, get this blue. If you&apos;re not a blue-lover, get this blue. That&apos;s all I have to say about that. OPI Never Have Too Mani Friends! 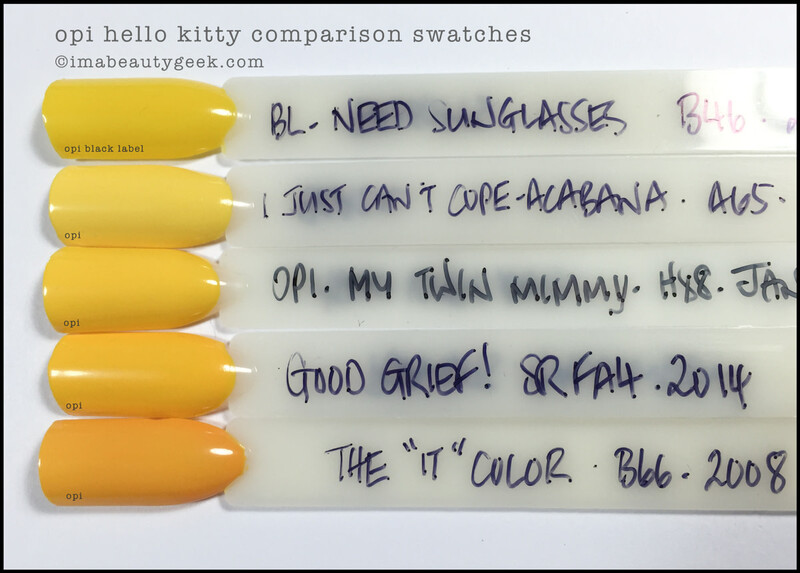 – OPI Hello Kitty 2016 (above). Oh look! A solid crème black. It&apos;s a good black, no question. Two coats will get you to 100% opaque. Can you OCW (one coat wonder) it? Almost. Will I give up my Revlon Black Magic for this black? Nope. OPI Kitty White over Never Have Too Mani Friends! OPI Kitty White over Never Have Too Mani Friends! (above). Lookit what I did! I layered a coat of something over my new Hello Kitty Black! Surprise! #NotReally. Do I like it? Yep. It&apos;s brilliantly bright - like blindingly bright. Like sunshine on snow after the big storm. OPI Charmmy & Sugar over Never Have Too Mani Friends! OPI Charmmy & Sugar over Never Have Too Mani Friends! (above). Just kidding! Man, I freakin&apos; love Charmmy & Sugar! I mean come on! Lookatit over black! Stuntasticalz! Do this. Do this. Do it! OPI Starry-Eyed for Dear Daniel over Never Have Too Mani Friends! OPI Starry-Eyed for Dear Daniel over Never Have Too Mani Friends! (above). And lastly, I made you this just because I could. I will never, ever tire of layering glittery things over black - especially OPI things. I know you&apos;re disappointed I didn&apos;t mattify it so you could see what happens but rest assured, I did. Am I going to show it to you? Nope. You do it - I gotta get a move on here with your OPI Hello Kitty stick pics! There are lots of similars but I don’t know if I’ve got any 100% dupe-tastical twins. I&apos;m leaving it up to you to decide if they’re close enough that you do or don’t need to go Hello Kitty shoppin’. Me, I just picked up my final shade of the 13 from Trade Secrets. I&apos;m done. OPI Let&apos;s Be Friends comparisons (above). OPI Look at my Bow comparisons (above). OPI Spoken From The Heart comparisons (above). OPI Super Cute in Pink comparisons (above). OPI Starry-Eyed For Dear Daniel comparisons (above). OPI My Twin Mimmy comparisons (above). 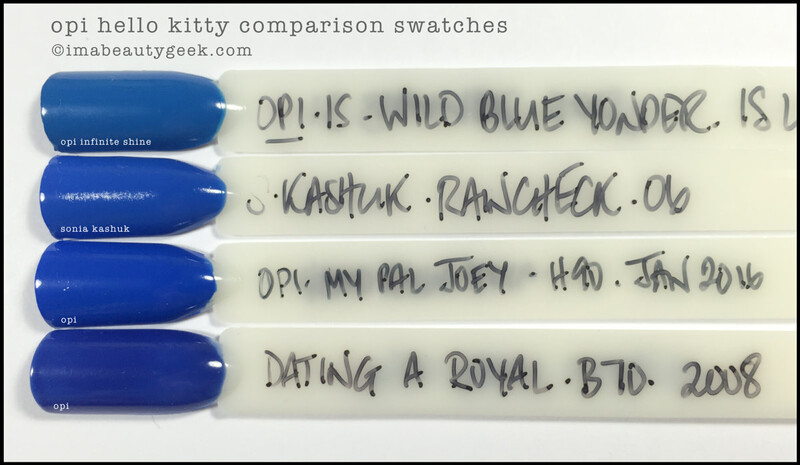 OPI My Pal Joey Comparisons (above). 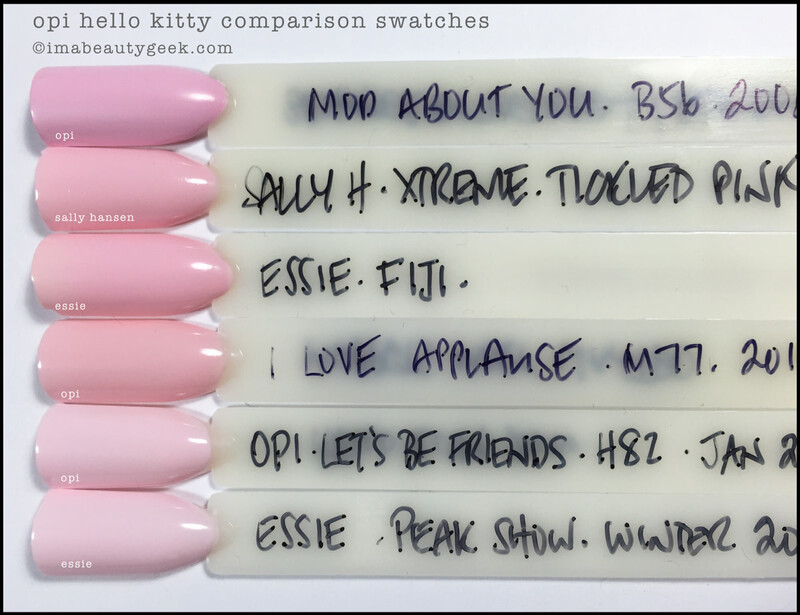 OPI Kitty White comparisons (above). As always, these are the things I have that get the closest. If you don’t see something here, it’s possible I don’t have it. If it’s an OPI shade, odds are good that it’s not similar enough to show you. Ask though – you never know if I just forgot something! Availability: The Hello Kitty 2016 Collection is on-counter in most places as of now. 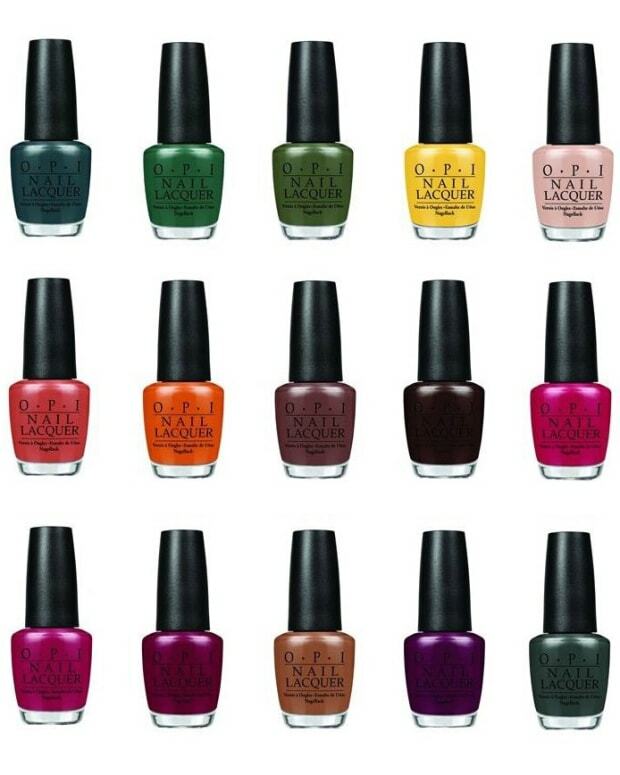 If you&apos;re an OPI GelColor fan, it&apos;s all available in gel formula too. Where can you get yours? Ulta.com, Amazon.com, in-store at TradeSecrets.ca (not sure if they&apos;ll have it online) and your regular OPI Retailers all over the place. 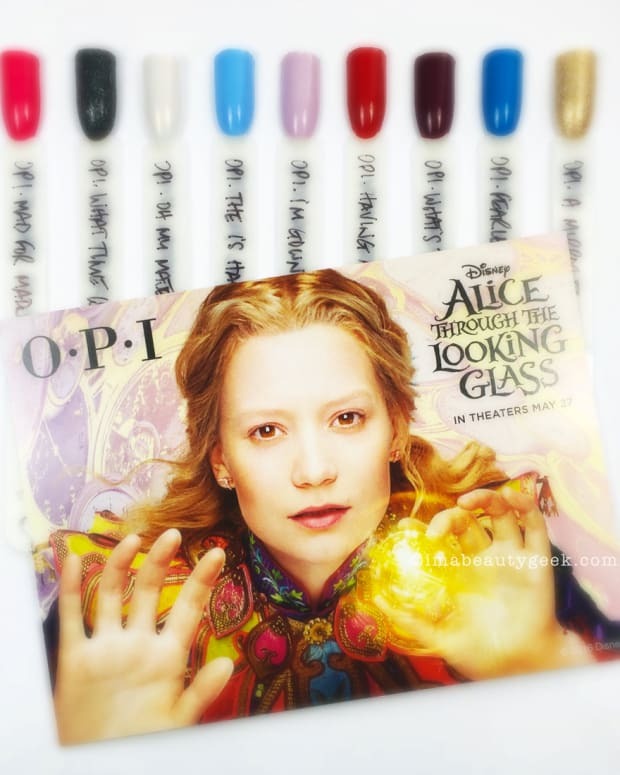 For more information on all things OPI, head on over to OPI.com. Manicures and photographs Karen Falcon (time… she needs more of that).